How Can Modified Citrus Pectin Halt Cancer Cell Growth? You are here: Home / Nutrition / How Can Modified Citrus Pectin Halt Cancer Cell Growth? You may remember “pectin” as something that your mom or grandma used as a thickening agent for jams and jellies. Pectin can be used for more than just canning, however. 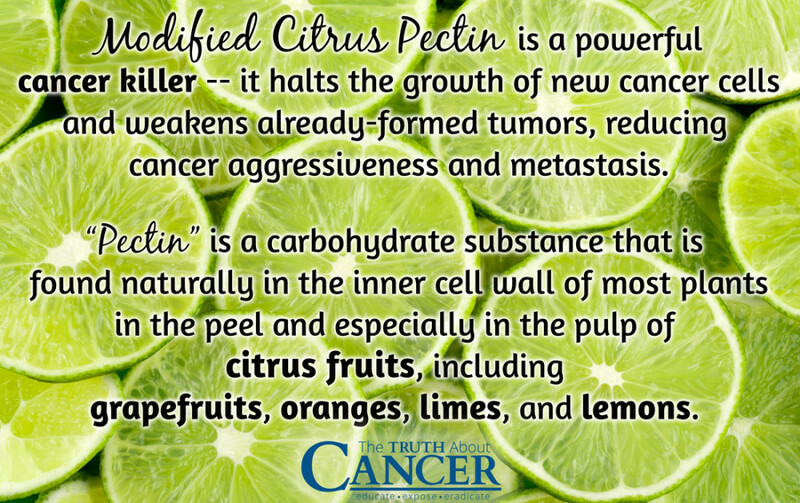 In recent years, research has shown that Modified Citrus Pectin (MCP) is also a powerful cancer killer. “Pectin” is a carbohydrate substance that is found naturally in the inner cell wall of most plants. It is especially concentrated, however, in the peel and pulp of citrus fruits, including grapefruits, oranges, limes, and lemons. Naturally-occurring pectin is very hard for the human body to absorb. However, scientists have figured out a way to modify it into shorter soluble fibers which are easily broken down in the digestive system and absorbed by the blood stream. They “modify” it by changing its temperature and pH level. Citrus pectin doesn’t contain much nutritional value, although it is a great source of fiber. 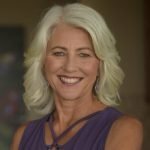 Most importantly, however, is the unique way in which it halts the growth of new cancer cells and weakens already formed tumors. 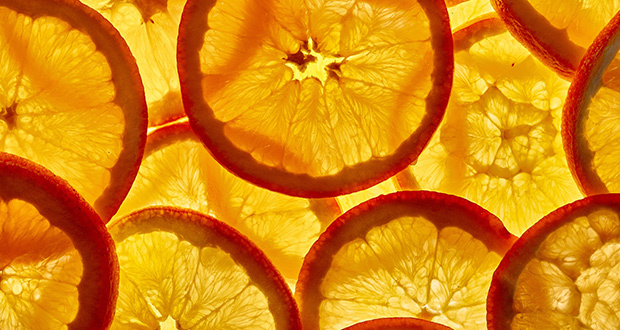 Modified Citrus Pectin works through its influence on specialized proteins called galectins. Researchers have long known that galectins, and in particular galectin-3, cause cells to clump together because of their sticky consistency. Over the last decade, however, studies have shown that these proteins, found especially in epithelial and immune cells, are also associated with cancer growth and metastasis. A study conducted at the Karmanos Cancer Institute at Wayne State University in Detroit suggested that the presence of galectin-3 contributed to “cancer aggressiveness, metastasis, cell growth, adhesion, differentiation, angiogenesis, apoptosis, invasion, cell-matrix interaction, and dissemination of cancer cells through blood flow and extravasation [i.e. the beginning stages of cancer tumor spread].” Their findings also suggested that galectin-3 plays a role in cancer cell longevity. A previous study at the University of Alberta in Canada found that higher levels of galectins in the bloodstream equated with more frequent rates of cancer cell proliferation for breast and prostate cancer cells as well as for melanoma. This is where Modified Citrus Pectin comes into play. MCP can “stick” to galectin-3 when it is attached to a cancer cell. This makes the cell “slippery” and neutralizes the clumping effect of the galectin and its ability to strengthen tumor growth. Allopathic cancer treatments often overlook the role that communication, or cancer cell signaling, plays in tumor metastasis. Modified Citrus Pectin, however, has shown in numerous studies to have the ability to interfere with cancer cell signaling while keeping healthy cell communication pathways intact. This causes the cells to continue to circulate in the bloodstream, never landing in one particular place and thus losing their ability to create more tumors. As they wander, they are also more vulnerable to attack by the immune system. One study with prostate cancer patients found that after being treated for a full year with MCP, the patients experienced lowering of PSA concentrations by 70%. Another way Modified Citrus Pectin fights cancer is in its ability to extract heavy metals from the body which are then passed on through the urine. Heavy metals such as lead and cadmium are immunosuppressants and can lead to genetic mutations and cancer. They can be found in the air, and in drinking water, cleaning products and dental materials. They are also found in some seafood and in sundry products like commercial antiperspirants. Once a heavy metal “lodges” in a particular place in the body, it can be difficult to remove except through a chelating agent like MCP. In the first 24 hours, the urinary excretion of the toxic metal arsenic increased by 130%. Cadmium levels in the Day 6 urine samples rose by 150% compared to Day 1, and lead levels increased by a whopping 560% on Day 6. The levels of essential minerals, such as zinc, magnesium, and calcium, were not affected. The researchers noted that the chelating effect of MCP may have to do with the presence of the polysaccharide rhamnogalacturonan II (RC-II), which is found in the naturally-occurring pectin and is maintained in MCP. How Much Modified Citrus Pectin Should You Take? MCP can be a powerful addition to your overall health arsenal. If you are considering adding Modified Citrus Pectin to your cancer health protocol, experts typically recommend a dose of 1 teaspoon (5 g) three times a day at minimum, although higher doses have not been known to cause side effects. Also be sure that you connect with a high-quality source of MCP. I recommend PectaSol-C, which currently is the only brand that has been validated for purity and has been used in various scientific studies. You may know “pectin” as something to thicken jams and jellies. In recent years, however, research has shown that Modified Citrus Pectin (MCP) is also a powerful cancer killer. “Pectin” is a carbohydrate substance that is found naturally in the inner cell wall of most plants. It is especially concentrated in the peel and pulp of citrus fruits. MCP can “stick” to proteins called galectins when attached to a cancer cell. This makes the cell “slippery” and neutralizes the clumping effect of the galectin which prevents it from making tumors stronger. Modified Citrus Pectin has shown in numerous studies to have the ability to interfere with cancer cell signaling while keeping healthy cell communication pathways intact. Another way MCP fights cancer is in its ability to extract heavy metals from the body which are then passed on through the urine. Experts typically recommend a dose of 1 teaspoon (5 g) 3 times a day at minimum, although higher doses have not been known to cause side effects. Look for a high-quality source of MCP such as PectaSol-C.
Galectin-3 expression in human breast carcinoma: correlation with cancer histologic grade. Modified citrus pectin (MCP) increases the prostate-specific antigen doubling time in men with prostate cancer: a phase II pilot study. Rhamnogalacturonan II: structure and function of a borate cross-linked cell wall pectic polysaccharide. I have another way which I hope is also providing these pectins. When I make a liter of lime water in the morning, I put the organic limes into the water/juice and let them soak all day in it, and I drink from there. It does change the taste, adding a bit of bitter astringent taste, but I can tell that this is due to the peel and so I presume some of these same nutrients are getting into the water. What do you think? Now I don’t live in Califoria anyway, but the warning comment seems very strange. Can you enlighten me? 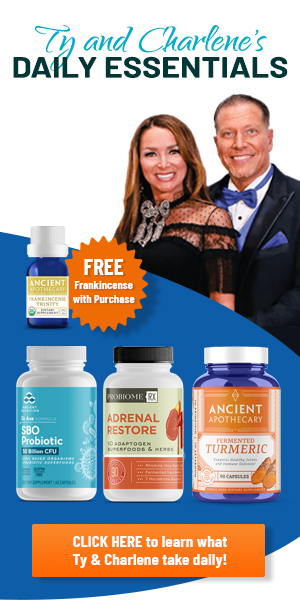 OK – I’ve checked out the product details, including the above warning, on the Econugenics website. Here’s the link to the “California State Proposition 65”: It states that it is a technical legal requirement in California to attach a warning to any product that contains more than 0.5 micrograms of lead in a daily dose. This is 1,000 times lower than the level of exposure that has been shown to have no observable effect on humans or animals. In other words, completely insignificant. And what IS present is a natural source, therefore passing through the body quickly and not binding to any other molecules. I really don’t know why they are required to add such an unnecessary warning! I would be only too happy to try this product. I already add finely grated orange peel, along with lots of other yummies, to my daily homemade yoghurt, blueberry and banana breakfast! My one concern is that the peel of the fruit is being used. This is where the majority of the pesticides remain, unless organic. I have tried to find organic pectin in a variety of health food stores to no avail. Generally, pesticides are sprayed on non-organically grown fruits using a petroleum base, thus they can not be washed away plus there are likely petroleum product residues mixed in with the resulting pectin. Does anyone know any more about this???? It’s my understanding that what they’re talking about here is the inner wall/soft white fiber inside the peel, so I would guess that is not as susceptible to the pesticide effect. I’ve been eating a minor amount of this inner peel for years, because I heard long ago that it helped the body absorb vitamin C better. Either way, go organic! Even less costly stores like Aldi now feature an organic selection. I eat one manderine every day for lunch and I use a whole lemon to make lemon juice. Sometimes, I eat oranges for lunch. I, especially; love the red blood oranges that come in the spring time. Whenever I drink a glass of freshly squeezed lemon juice in the morning, I start doing papas. When I was in Spain and Portugal, I always drank freshly squeezed orange juice and it was so delicious, because it came from fresh oranges, unlike the ones that I buy from shops that consist of superficial sweetness. So am I not getting the benefits if I use the entire slice of lemon in my smoothie (including skin)? Do I need to be using MCP to get the full effect? Cigs it okay to use the ozonator on the fruits and then eat the peel? In India Citrus fruits 3 to 4 varieties are used with peel as Pickle kept for one year and used regularly early curd rice or in tiffin.People used this type found no health problems.At present with western culture people stopped the system and facing health problem. The doctor who originated it. Patients. This warning was demanded by the FDA. Two reasons – they can, and they want to scare you not to use it. Scare tactics work. FDA has paid a visit and left their threats but lost the court case with this doctor. Shera, the warning was related to the tiny lead content in the product which, as I said above, is 1000 times less than what has already been tested to be safe, and comes from nature, not added chemicals. And yes, you can blame the FDA. It’s a pity they aren’t nearly as particular about the levels of harmful ingredients in chemotherapy!! Organic so at Aldi? Great! I live near Onalaska, WI and it is near the Woodmans store whichever also has lots of organic items. Like Paula says, go organic. I agree! At what price does good health come, when avoiding cancer. I buy organic oranges, wash them and slice them thin. I eat the whole peel too, which has got to have these same pectins in them. Guava a tropical fruit found everywhere ( Mexico, the caribean island ) is not only the best natural source of Vit C, but also high in natural pectin!! The highest… this natural compound has chelation properties here described? I used to eat guavas all the time as a child but since moving to the U.S. I can’t find any. Tried growing a tree but it died from frost (W. Central Florida). Years ago Dr. David Williams had an article about grapefruit (pectin) ..how the white part of the skin was dried and powdered and used to cure cancer in Australia. If you know about David..he travels the world looking for cures. He brings back the info and tries to find the active ingredient and prove it’s value. I believe that before he publishes he has the proof. I think it is best to buy organic when ever possible. I put the whole fruit orange, grapefruit, lemon or lime in the bullet or processor with ice and water and have a slushy skin, rind and flesh. A half orange and quarter grapefruit at a time. If you drink it immediately it will be high in Vitamin C, enzymes, and will be more alkaline if left to oxidize the C will diminish, enzymes will decrease and it will have a lower PH. Are there phytoestrogens in modified citrus pectin? I noticed that when I take it my menstruation is delayed but I cannot completely rule out other factors yet. Also when I did a google search I found that phytoestrogens are contained in citrus peels. I would really like to know the answer to this as my body does not react well to excess phytoestrogens. Can you flavor Pecta-Sol C with juice or something else without affecting its efficacy? Its taste could definitely be improved! I don’t like the taste and take it in capsule form. I mix the powder with UNSWEETENED apple sauce (6 large jars for $7.00 at COSTCO in Canada). Works great for me.